Does your center need a new web site? We might build it, for free! A web site is your public face to the world. What does yours say? A web site can help increase enrollment and save time. It acts as a marketing tool for parents researching childcare options. It provides resources to parents so they don’t have to call you every time they need a form. The problem is: you are busy! You don’t have time to think about creating a site. Hiring someone can be expensive. It is difficult even to get started on the process. We will do it for you! 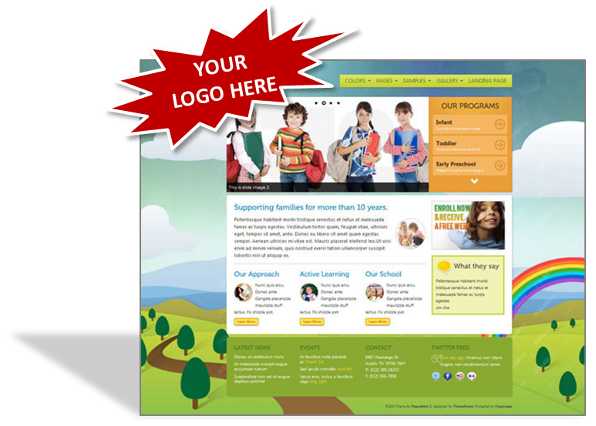 BumbleBee is giving away a free web site to one childcare center. Think ‘Extreme Makeover, Web Edition’. It will look great, with a professional design. We will put in your custom content, and then you’ll have access to a simple management interface to create or update content. All you have to do is stop by booth #1456 at the NAEYC Annual Conference in Orlando or sign up for our free email list, and you can win. There is no commitment or purchase required. 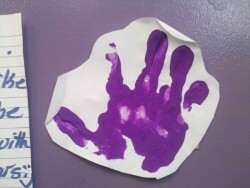 1) Sign up using this form (or stop by booth #1456 at the NAEYC Annual Conference in Orlando) by November 11, 2011. 2) We will draw a winner on November 14. 3) We will contact the winner to discuss what kind of content you want, then build the site for you. That’s it! Plus, you will be signed up to receive free emails on tech tips, news, and other topics useful for childcare managers. In fact, after giving away this web site, we will provide our mailing list members with a series of “how-to” articles that detail how to quickly build a great looking website yourself. The usual yada-yada: Of course, there is no purchase necessary to enter. One entry per person. If you are not going to be at the conference, sign up for our email list by the 11th of November. We will not share your email with anyone else. No one. Not even if they ask nicely. We will create up to 10 pages of content, and give you simple tools to update that or build more. Would You Track Children with GPS? 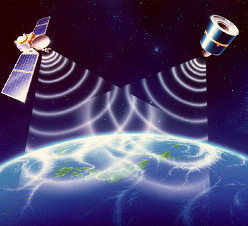 By Ben on 2011/10/19 / Blog, In the News / Comments Off on Would You Track Children with GPS? I recently came across an article about a Swedish childcare center that uses GPS to track children on field trips. Opinions must be all over the map on this one. I can picture some parents I know being horrified at the concept, and others comforted. Does technology take away from the ‘human touch’? Direct human interaction is the primary “product” of childcare centers, along with a safe and stimulating physical environment. Some uses of technology may get in the way. However, perhaps staff can focus more on interacting with children if they do not have to constantly count heads. It is hard to put a price on safety of students. Still, such a system is presumably expensive and might be better spent toward staff. Would it be appropriate even if parents were to foot the bill for their own child? Is this smart risk management or just plain crazy? What would parents, staff or management think about such a system in your center? Child Care Is Expensive, but Is It Expensive Enough? Yes, but should child care cost more? Parents I know also acknowledge that childcare staff have an incredibly important, and often challenging job. My wife and I can be exhausted at the end of a Saturday after two of us chase two kids (a 1:1 ratio). Every day, teachers are engaging our kids and many others, with at least a 3:1 ratio of kids to teachers. If I polish off my Econ minor, I also find the extensive waiting lists at many centers amazing. This is what economists would call “excess demand”, with more people wanting the service than what is available in the market. This would indicate that a rise in price is warranted. (Of course, there are larger issues at play, and affordable child care is critical to a quality workforce). Sure, I could in theory drive my Porsche to my vacation home every weekend. That doesn’t hold nearly the value to me as knowing that my kids are being cared for and challenged in a safe environment. Most parents I know feel the same way. Sometimes we have to watch our budget, but we never consider trimming childcare expense. What do you think? Is your childcare center charging too little?